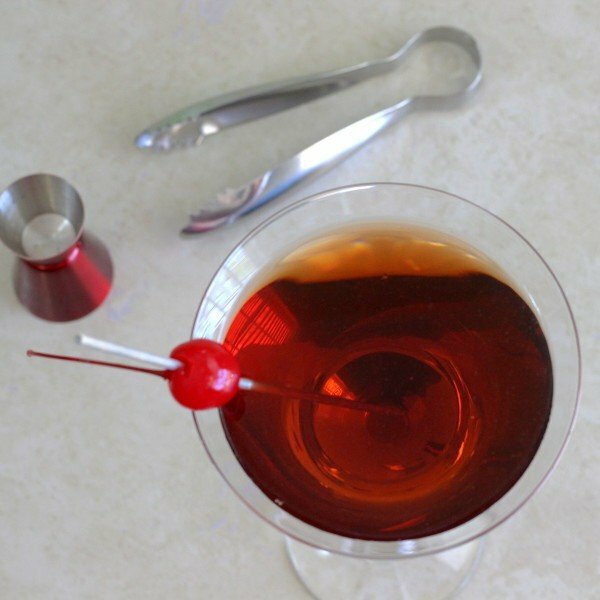 Unlike a lot of the cocktails we feature, the Manhattan’s recipe hasn’t changed much over the years. You can vary the proportion of vermouth to bourbon to get the amount of sweetness you want, or you can shake it instead of stirring it, but the ingredients always remain the same. The original recipe used rye rather than bourbon, and if you can find rye, that’s the preferred spirit. 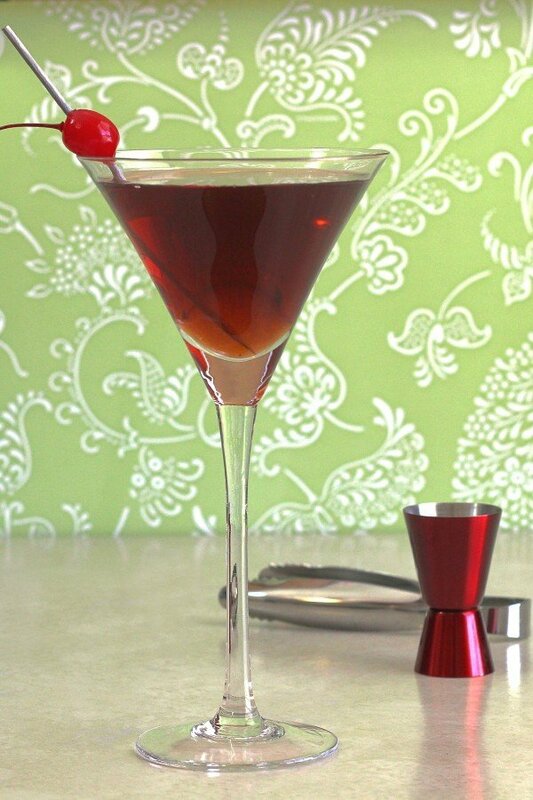 Stir with cracked ice, strain into a martini glass, and garnish with a cherry. Can also be served on the rocks. Actually, Canadian whiskey contains very little rye these days. The good news is true Rye whiskey is making a comeback and several brands are available. New brands include ri(1) and Sazerac. Also available is Jim Beam Rye, Wild Turkey Rye. My favorite inexpensive rye is Rittenhouse Rye 100 proof. Wade, thank you for the correction. I’ve edited the article to reflect it. In my opinion it’s worth it to find an actual rye whisky to make this drink. Oh, and don’t be tricked – Canadian blended whiskies are typically called “rye”, but they’re not straight rye. For the vermouth, my preference is to use some sweet, some dry vermouth. 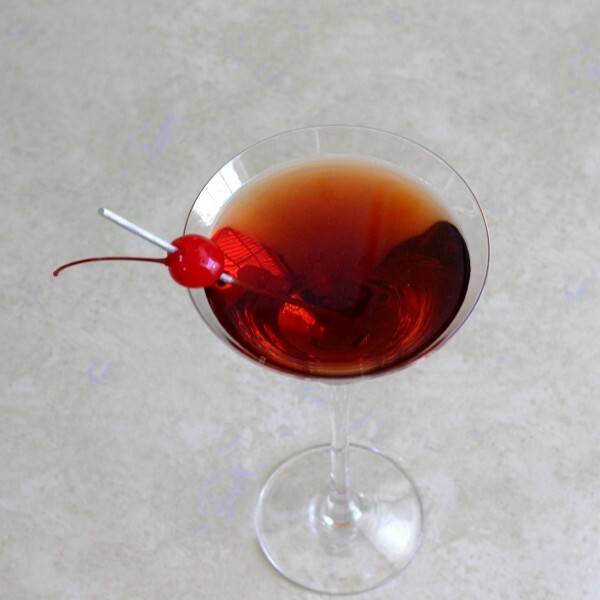 Using only sweet vermouth makes the drink too sweet for my taste. Better than using some dry vermouth to cut back on sweetness is to go 4 parts good borbon to 1 part sweet vermouth.